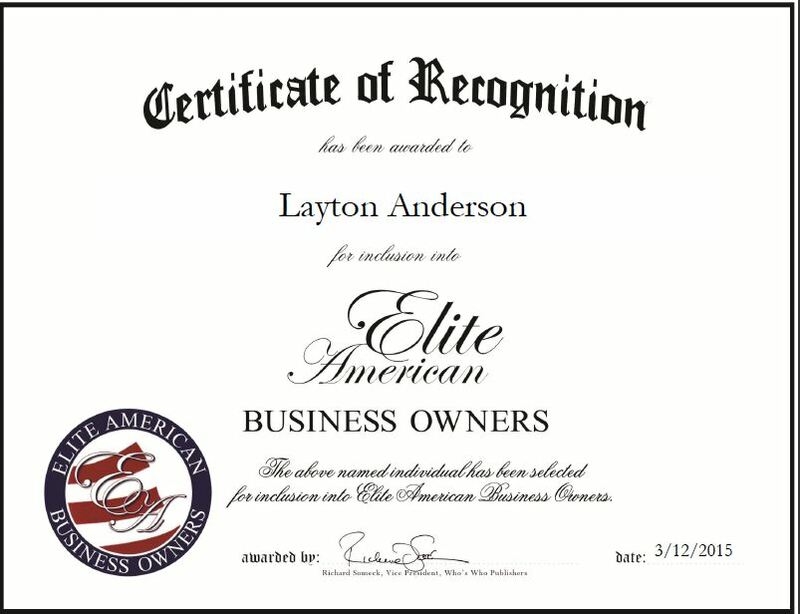 Nampa, ID, March 12, 2015, Layton Anderson, Owner and Manager of Stag Construction LLC, has been recognized by Elite American Business Owners for dedication, achievement and leadership in building and architecture. A highly regarded businessman, Mr. Anderson has garnered 30 years of industry experience. He has garnered a strong reputation within the community for his top-notch services and dedication to customer satisfaction. His extensive experience in commercial tenant improvements, renovation and contract management make him a sought-after professional who others enjoy working with. Mr. Anderson is proud of running a smart and fruitful business that values hard work and puts the needs of the client first. To ensure his business runs smoothly, he is responsible for overseeing the daily operations, as well as the entire remodeling and upgrade of offices and interior space for clients. He would like to continue growing his company and client base in the coming years. This entry was posted in Construction and tagged architecture, building, commercial, renovations, tenant improvements. Bookmark the permalink.